The first official data from Russia supporting claims that some kind of nuclear accident has happened within its borders was released on Monday. European monitoring stations began detecting ruthenium 106 in the atmosphere towards the end of September 2017. Ruthenium 106 is a radioactive isotope that does not occur naturally, therefore even small concentrations in the atmosphere indicate an accident of some kind. It is produced when atoms are split in a nuclear reactor and is used in certain medical treatments. Anders Ringbom, the research director of the Swedish Defence Research Agency, says it has not been seen in the atmosphere since the 1986 Chernobyl nuclear accident. It was detected across Europe – including Budapest, Bucharest, Stockholm, Prague and Milan – but experts said not at levels that would be harmful to the public. Trace amounts were also found in France at Nice, Ajaccio and Seyne-sur-Mer near Toulon. But what about danger to the public nearer to the accident site? Jean-Christophe Gariel, from the French Institute for Radiological Protection and Nuclear Safety (IRSN), said if the outbreak had been in France it could have led to evacuations in a one- or two-kilometre radius around the accident site. “We would also have forbidden the conception of agricultural products that were produced in a radius of about 20, 30 or 40 kilometres around the facility,” he added. Where did the ruthenium 106 come from? Both IRSN and Germany’s radiation protection agency said the source of the emission was in Russia’s southern Urals. Rosatom, Russia’s nuclear energy corporation, contradicted these findings, saying there were no traces of ruthenium 106 anywhere apart from at St Petersburg from September 25 and October 7. But then Russia’s meteorological agency, Roshydromet, published data on November 20 that was consistent with the German and French conclusions. It revealed the highest concentrations were found in localities around the Rosatom Mayak complex, according to Greenpeace Russia. Mayak, owned by Rosatom, is a plant that reprocesses spent nuclear fuel but has denied being the source of the contamination. The plant was the scene of a major nuclear accident in 1957 when a waste storage facility blew up. The Institute of Nuclear Physics in Kazakhstan, which neighbours the southern Urals, has said there were no accidents at its scientific research reactor and no ruthenium 106 at its two disused testing areas in western Kazakhstan. Why did the cloud come to Europe? The data from Roshydromet also revealed the weather conditions at the time of the accident had pushed the radioactive cloud towards northern Europe and the Mediterranean. Gariel said this was unusual as normally winds blew from west to east and would have taken the cloud in the opposite direction. The map below, from IRSN, shows the levels of contamination (%) in Europe and gives an indication of what path the cloud followed. Gariel said it was difficult to move forward given the denials and contradictory information coming from Russia. 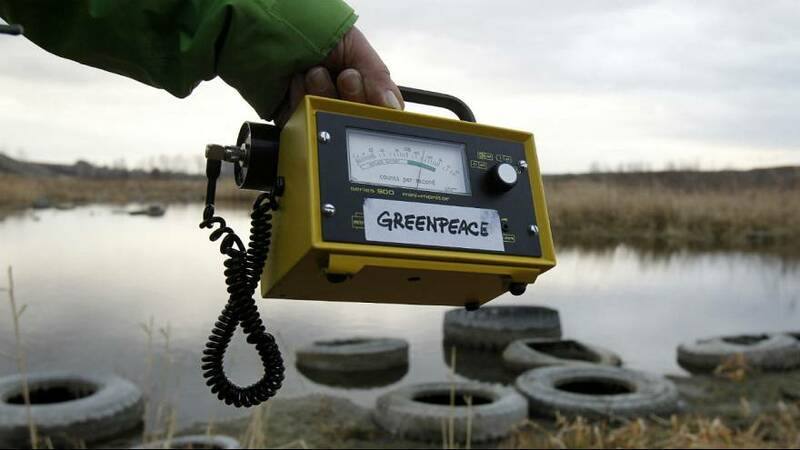 Greenpeace Russia has sent a letter to the public prosecutor to request an investigation into possible concealment of a radiation accident.